Lightstream 100x100 cm Reflector. Front surface: Reflector #1, rear surface: Reflector #4. Reflector #1 is the closest to a very hard reflector, but it is not a mirror. 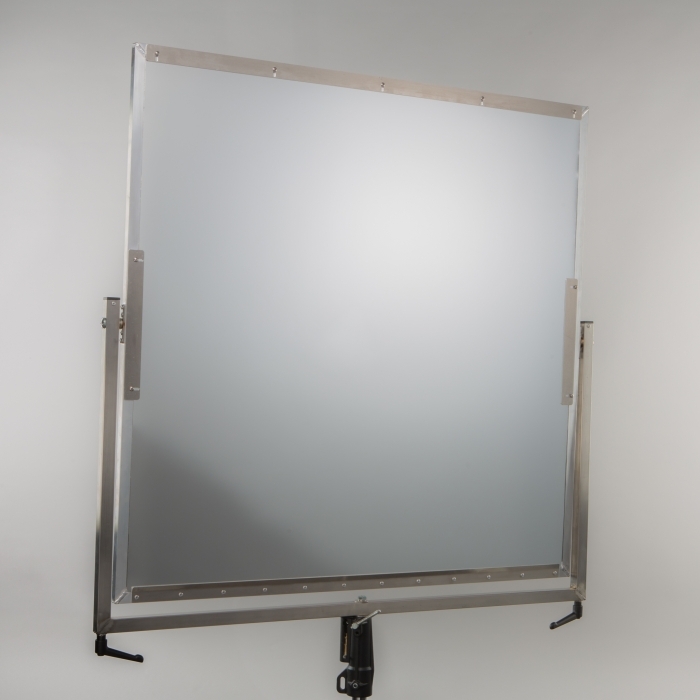 A fully functional mirror usually would not work well for this kind of lighting system, it would not redirect the incoming light, the beam with sufficient homogeneity. Reflector #1 serves the purpose of redirecting the light without changing the beam size and the beam character. The attempt here is to cause a minimum of stray light and a minimum of diffusion. This surface structure provides reflection with an exit angle of about 4°.